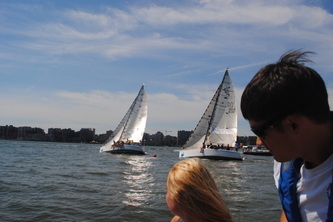 Sunshine, tight racing, and great crowd defined our inaugural duel. 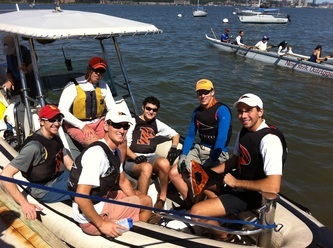 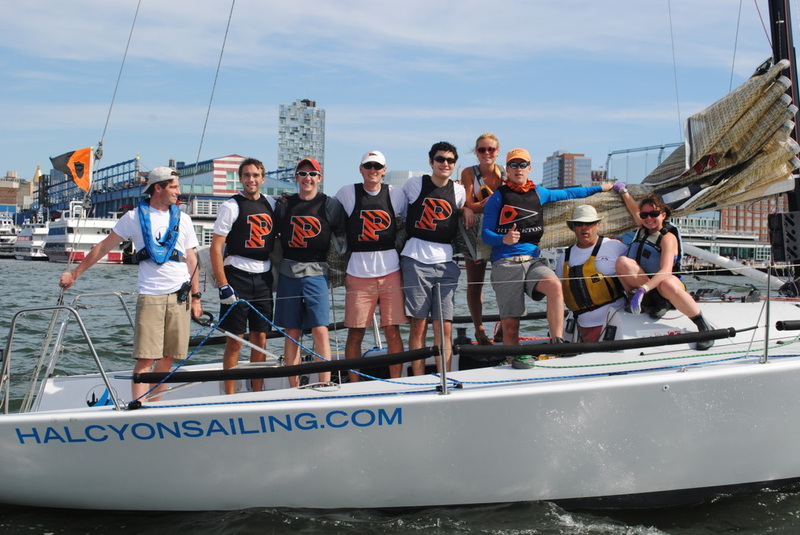 The Columbia Hamiltons edged out the Princeton Burrs for the Hamilton Burr Trophy with three wins in a best of five series. 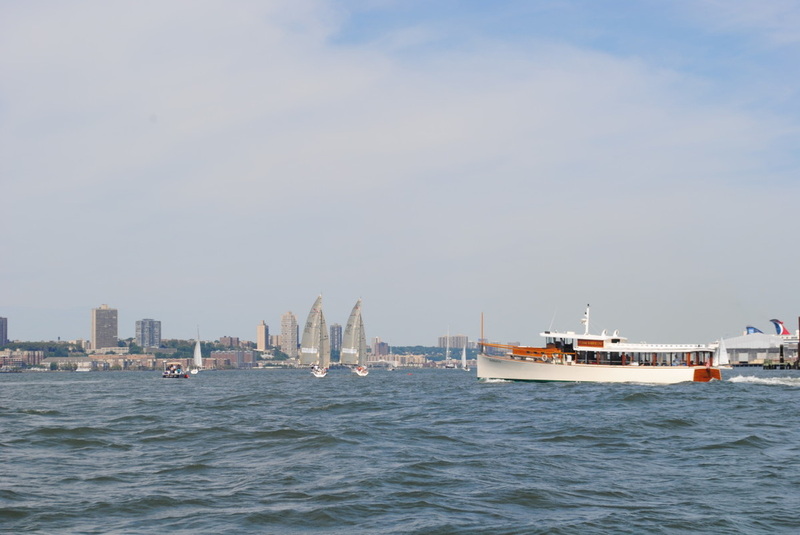 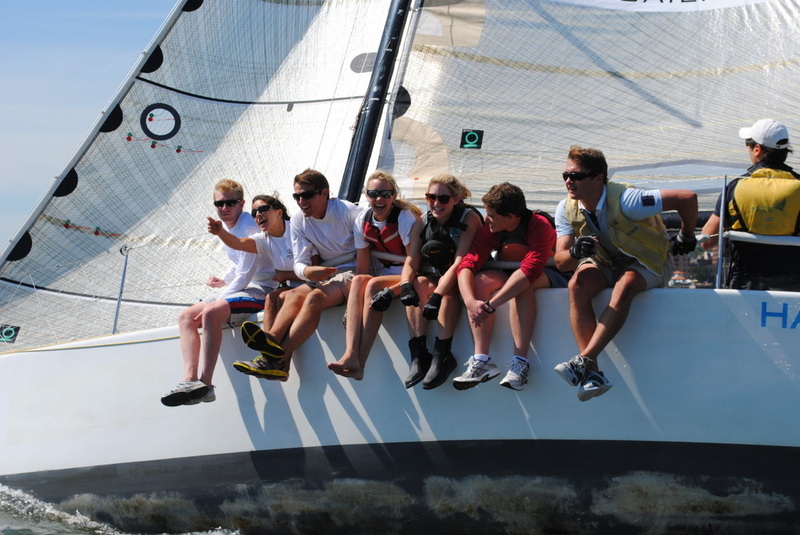 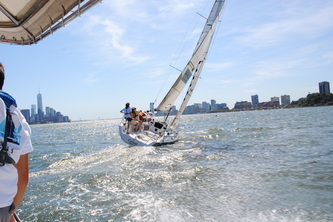 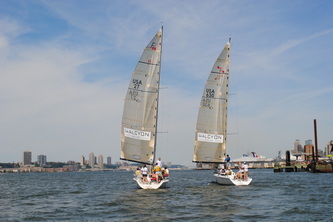 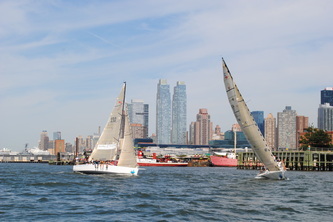 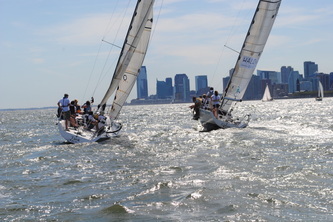 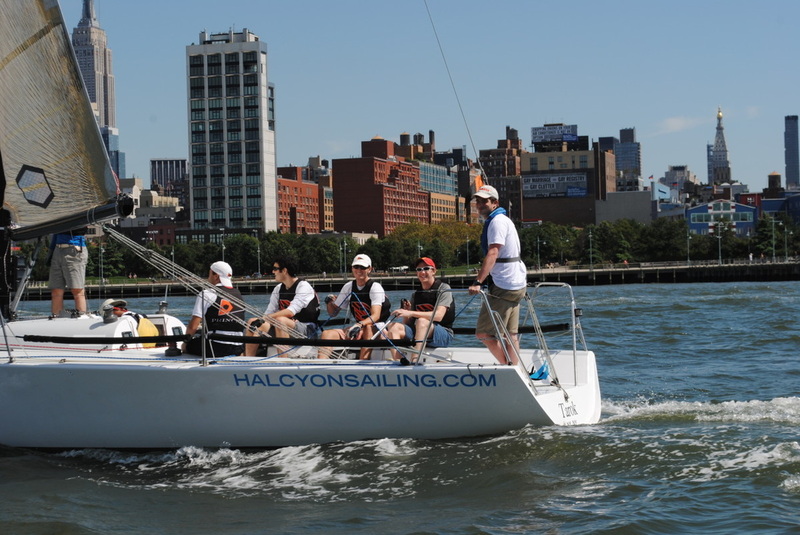 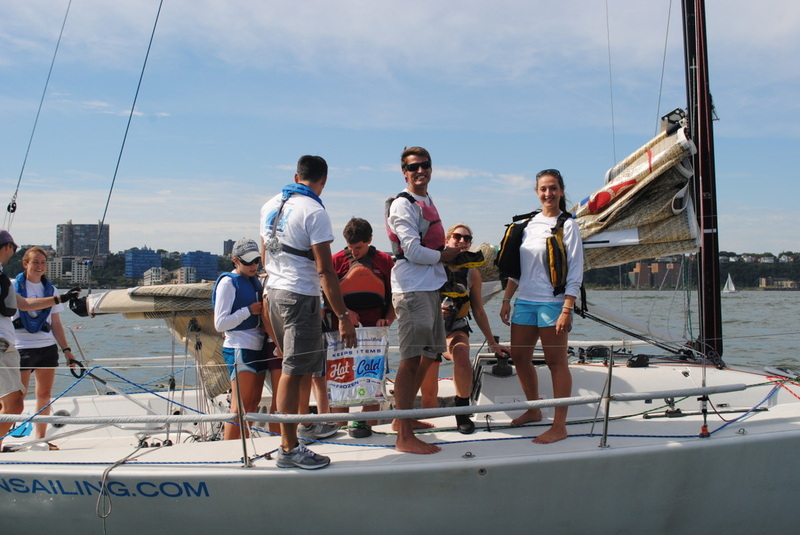 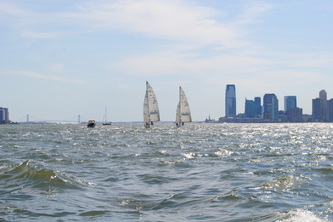 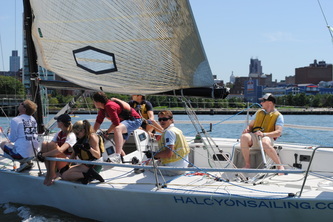 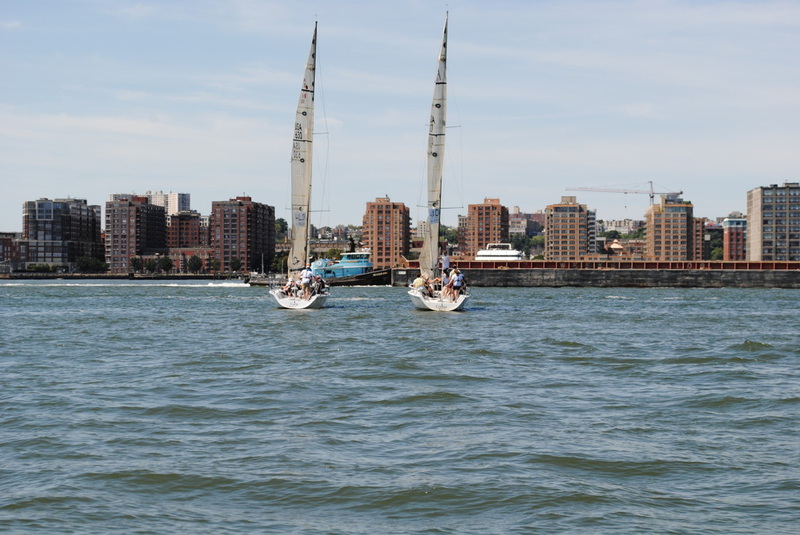 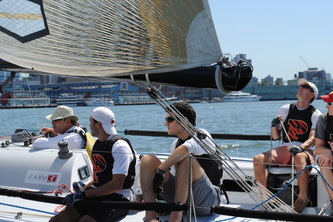 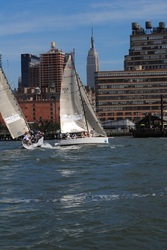 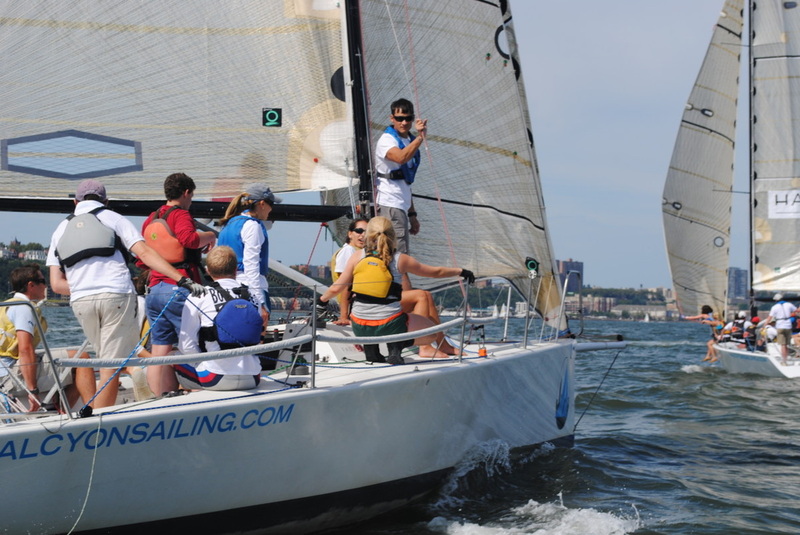 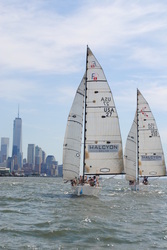 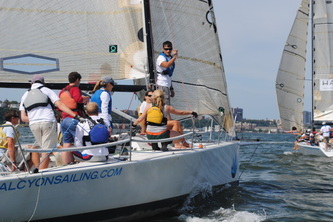 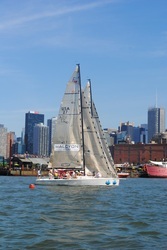 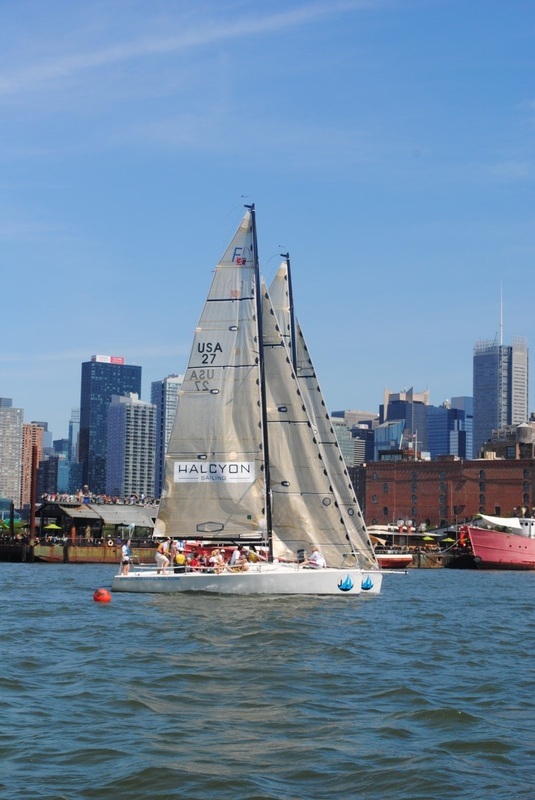 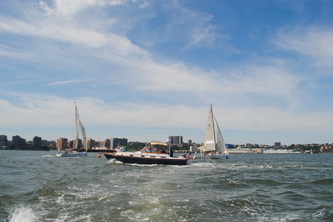 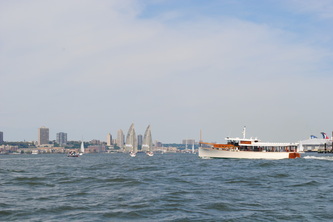 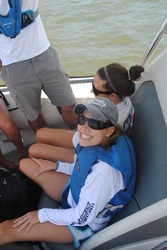 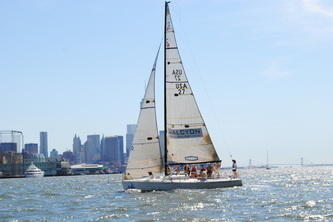 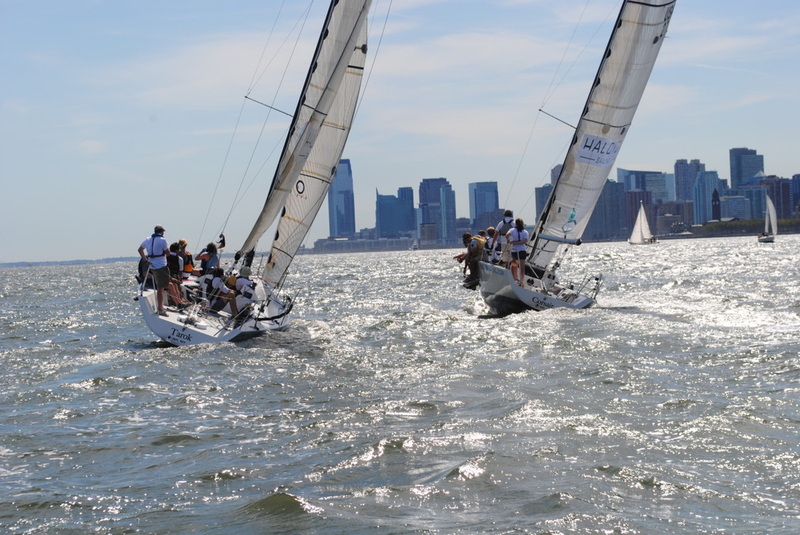 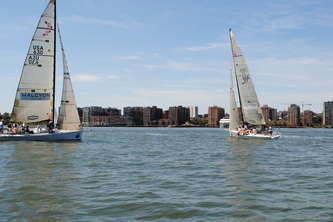 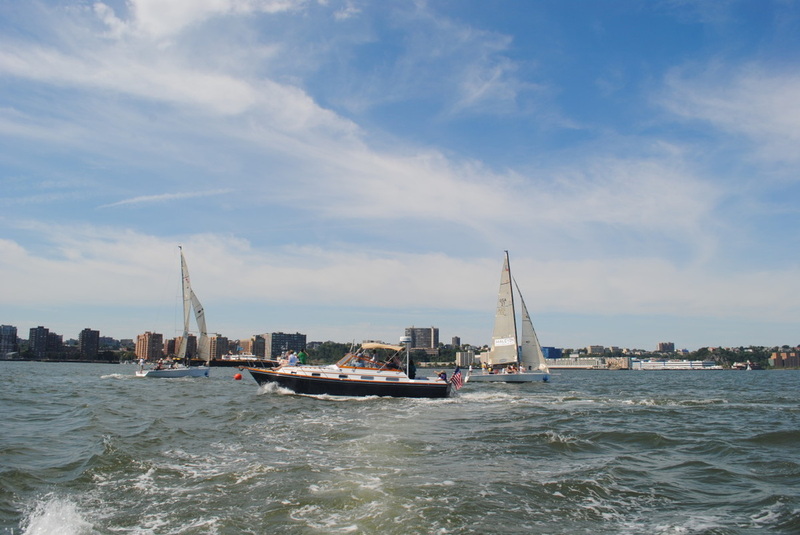 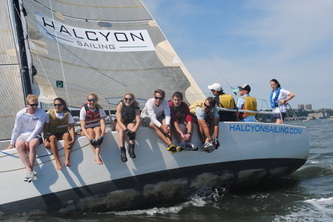 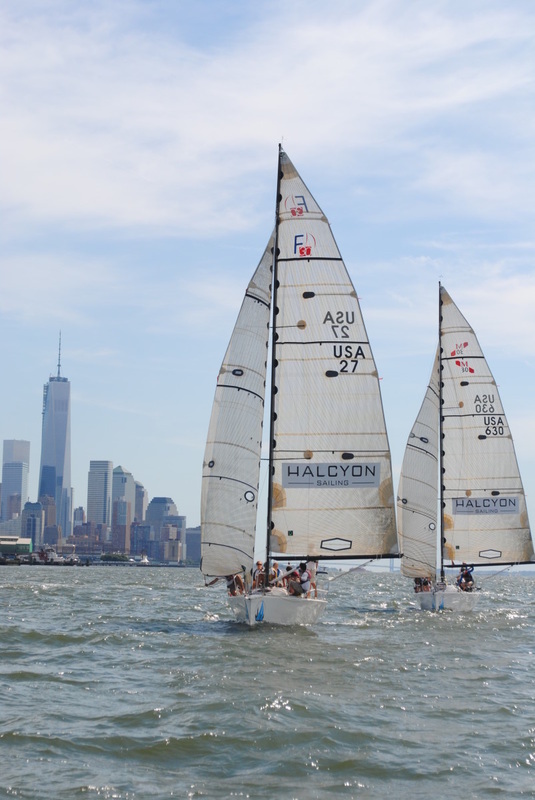 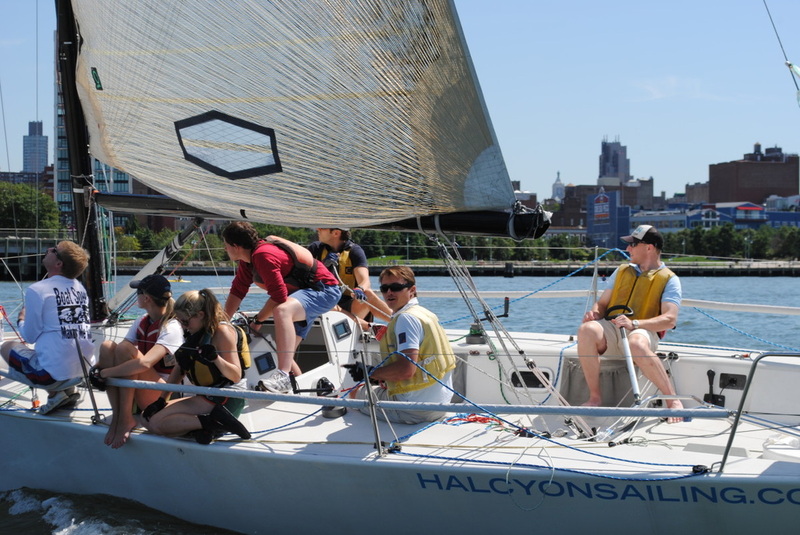 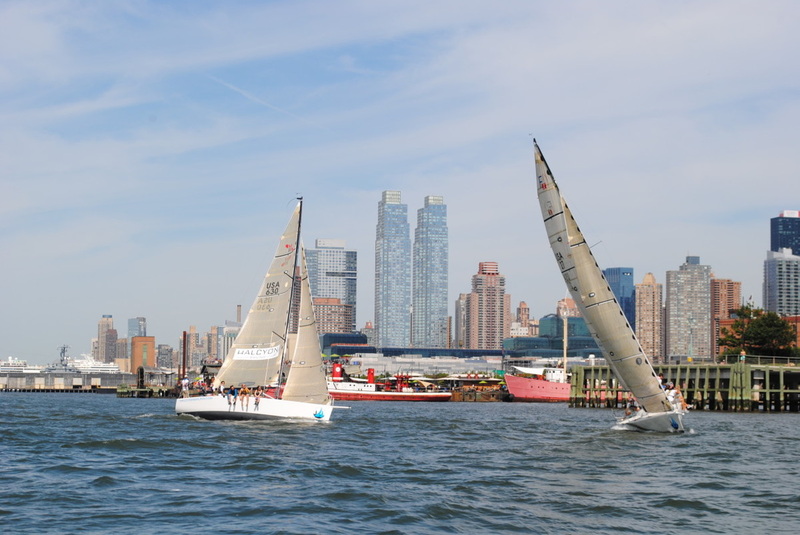 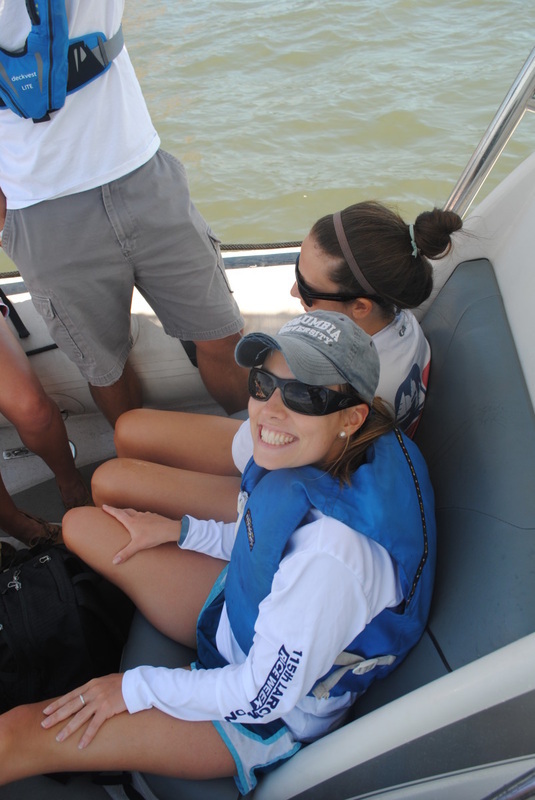 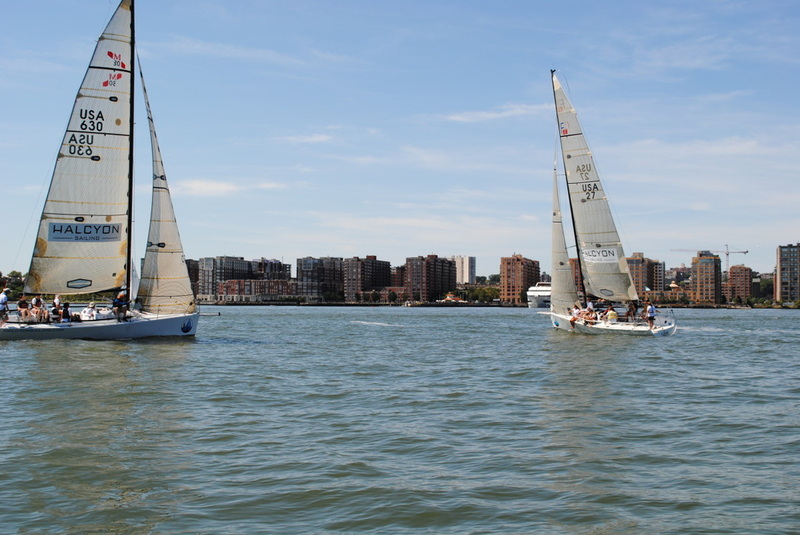 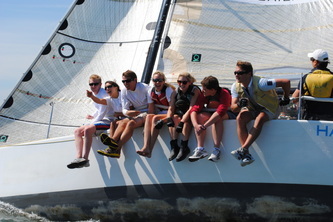 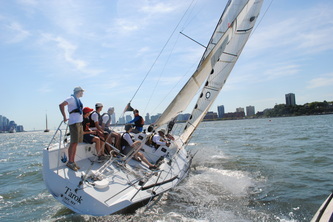 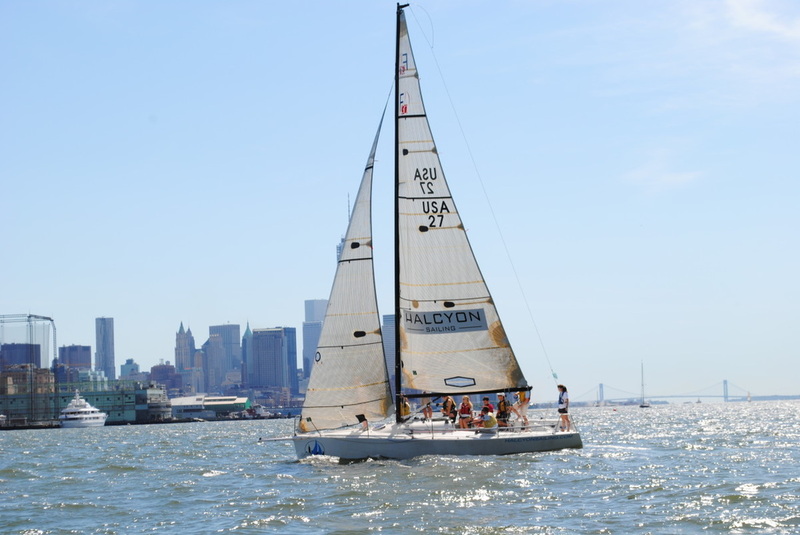 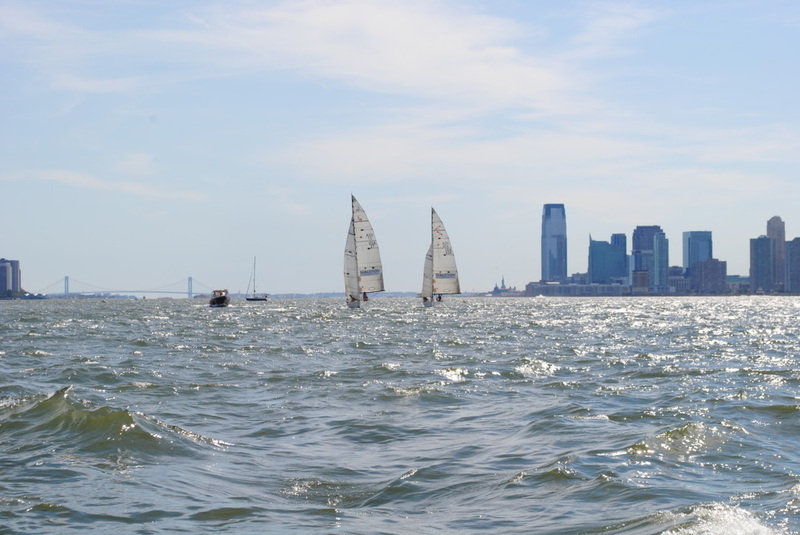 The Hamiltons also won the Citizen Sailor Trophy for having the most charitable proceeds. 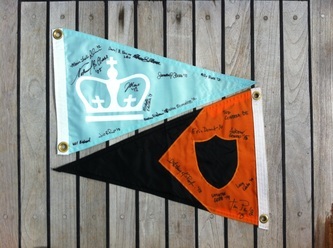 The trophy will consist of the competitors’ burgees signed by the inaugural crews and framed. It will then live on display at Hudson River Community Sailing as a symbol of our continued support for their educational programs. 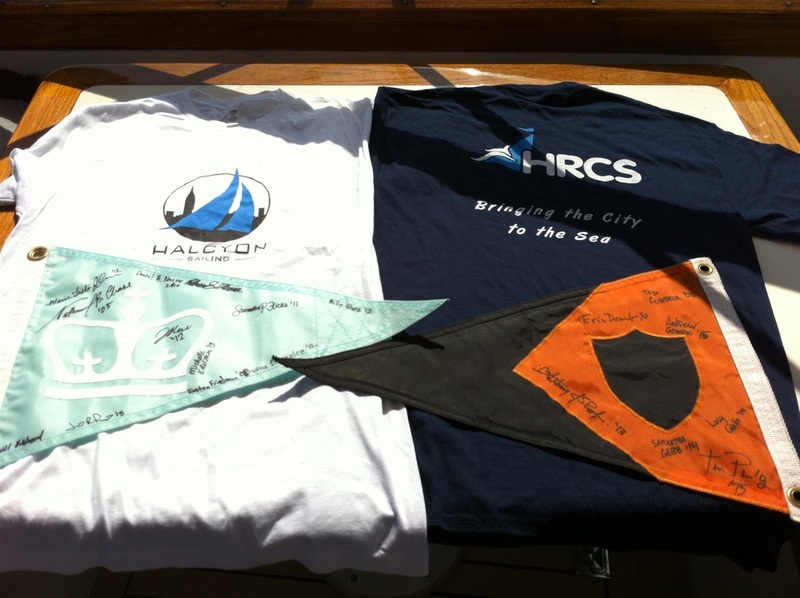 Many thanks to all those who helped make this possible! Preparations is underway for the 2014 event (CCX Anniversary Duel), where the rivalry and community spirit will continue to build. As the challenger, Princeton may nominate “weapons” for the next match. 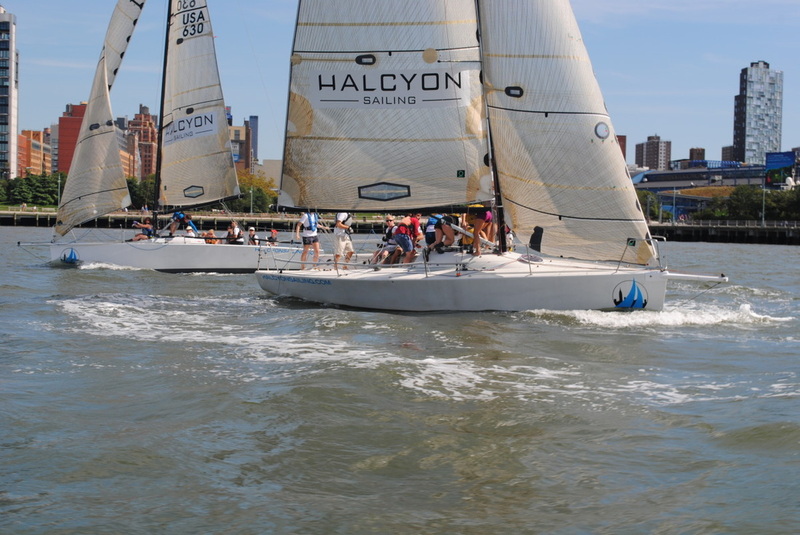 Mark your calendars for Saturday Sept. 6, 2014! Photography courtesy of Halcyon Sailing (http://www.halcyonsailing.com).